It is not only one of the most well known safari parks in South South Africa, but in the entire world. Its extreme popularity is pronounced by the fact that it is one of the oldest game reserves in South Africa. It is located a 3.5 to 4.5 hour drive from Johannesburg and you get an opportunity to sight the "Big Five" here: lion, leopard, buffalo, elephant, and rhino. It also houses many other bushman rock paintings and archaeological sites; making it a great destination for those who love art and history. 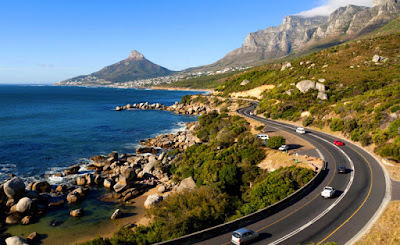 One of the best cities to visit in south Africa, Cape Town is breathtakingly beautiful and if we only consider population, it is the second largest settlement in South Africa. It is surrounded by a bounty of natural beauty, that nuzzles between a rugged range of mountains and the sea. You should trek to the peak of Table Mountain, for a picturesque view of the city. 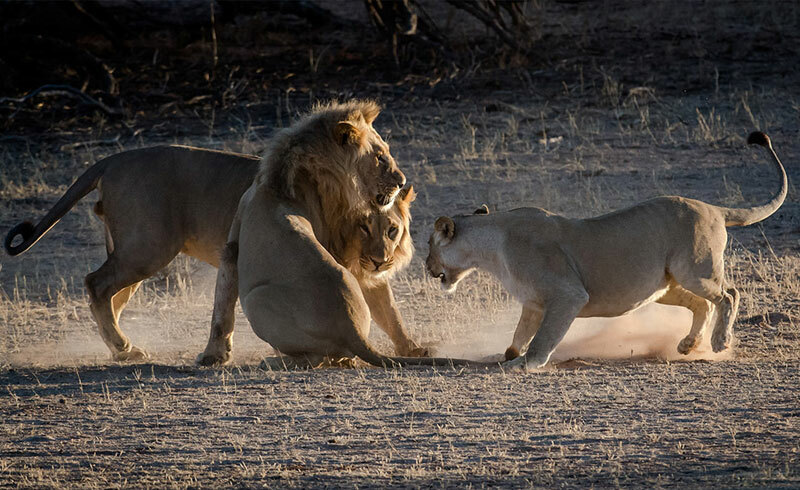 It has been formed by merging two of the most popular national parks in South Africa, Kalahari Gemsbok National Park and Botswana's Gemsbok National Park. In fact, it is one of the largest wilderness areas in the world. It was established in 2000 and is Africa's first officially declared transfrontier park lying in a remote region of South Africa's Northern Cape. One of the top 10 tourist attractions in south Africa, it is the second largest canyon in Africa, only after the Fish River Canyon. However, what sets it apart is the lush greenery owing to the subtropical foliage. Tourists generally love to hike through the rich diversity of flora and fauna filled canyon which offers stunning vistas of magnificent escarpments, waterfalls and ancient geological phenomenon. Well, if a place has the word Wine in its name, we are already sold. Cape Winelands are neighbored by majestic mountains, sleepy villages, brilliant monuments, fruitful orchards and some of the most beautiful flora you have seen in the world. An interesting way to pass time here is to take the Wine Routes of the Cape and visit the vineyards of the country’s finest winemakers, and taste some delicious wine. One of the most stunning and popular attractions in Cape Town, you will go back to olden times when you visit the harbor. It is situated inside an entertainment paradise that houses many restaurants, specialty shops, pubs, and theaters. 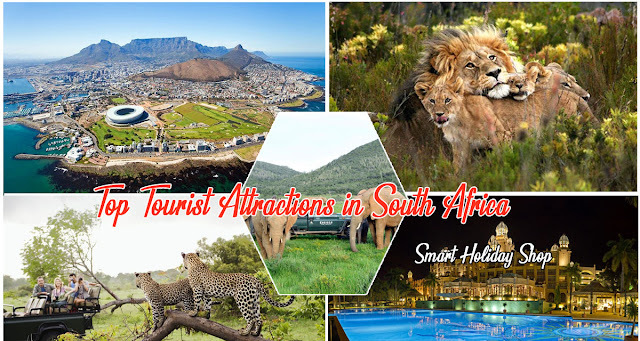 Apart from entertainment, some of the most popular attractions here include the Clock Tower, Chavonnes Battery, the South African Maritime Museum and the coastal Seal Landing where Cape Fur Seals reside. One of the most unique places in South Africa, The Garden Route is a stunning attraction which stretches from Mossel Bay to St Francis along the Indian ocean and also includes parts of the inland. One place that you should definitely visit during your time here is Knysna which is located between lush forests and the shores of a peaceful lagoon. 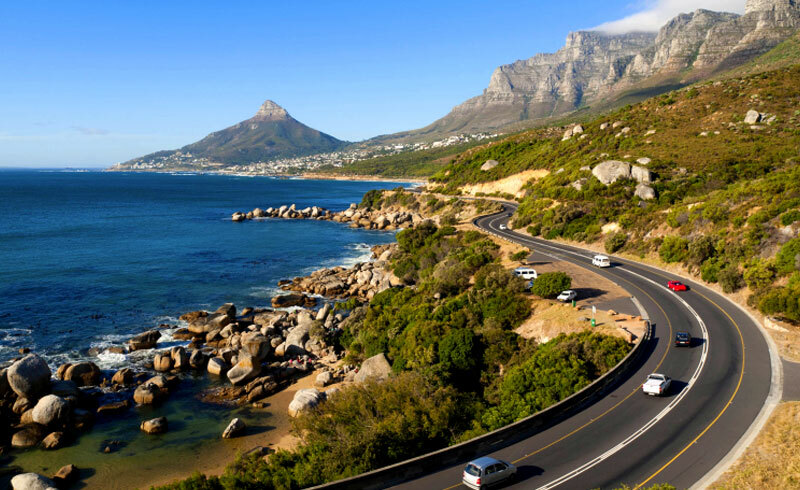 Whether you want to indulge in adventurous activities or just spend time at leisure strolling paths filled with authentic dining and shopping venues; this is an ideal location for everyone visiting South Africa. It is often referred to as one of the prettiest towns in South Africa, one which makes for some sweet postcard pictures. 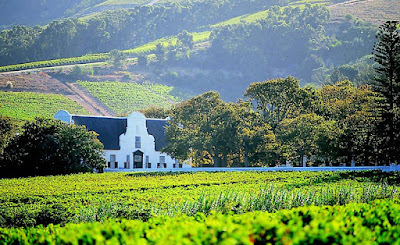 Stellenbosch is a mosaic of farms, old oak trees, and white-washed Cape Dutch dwellings. In fact, it continued to be one of the most well-preserved towns from the era of the Dutch East India Company. It has transformed into a university town which has a happy feel around it and great scenery and food! ience that offers phenomenal, birds-eye views overlooking the city of Cape Town, Robben Island to the north, and the Atlantic seaboard to the west and south. Peaking at 1,086 meters (3,563 ft), reaching the top is simple via an ingenuous cableway, and each Rotair car features revolving floors allowing passengers to enjoy 360-degree views during the trek to the top. 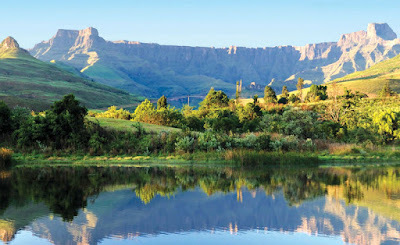 The word Drakensberg, directly translates to "Dragon Mountains," and is one of the most loved vacation destinations in South Africa, by locals and tourists both. It houses some of the highest peaks of the country including the the World Heritage-listed Khahlamba-Drakensberg Park, which is a region of breathtaking beauty with jagged basalt buttresses and San rock art. It is a World-Heritage listed site and we don’t know if this place needs any further introduction. It is a haunting reminder of the horrors of apartheid and it is known because Nelson Mandela spent 18 years imprisoned in a tiny cell here along with other political dissidents and social misfits. The most intriguing factor about is this place is the fact that ex-prisoners are usually the guides, and share their own experiences of the savage atrocities they went through. Kwazulu Natal is the perfect destination to feel pampered after a hectic wedding schedule. For couples looking for relaxation, it is the best honeymoon getaway in South Africa. Breath in the fresh air in the arms of your spouse & get disconnected from the world. It is achingly romantic to enjoy a glass of wine at sunset, cuddling and gazing into nothingness of the wild. The variety of seafood is an added attraction.